Tuna, Chickpea Flour, Beet Molasses, Vegetable Glycerin, Blueberries, Cranberries, Dried Cultured Skim Milk, Potato Flour, Mixed Tocopherols (a preservative). 3130 kcal/kg, 13 kcal per treat. 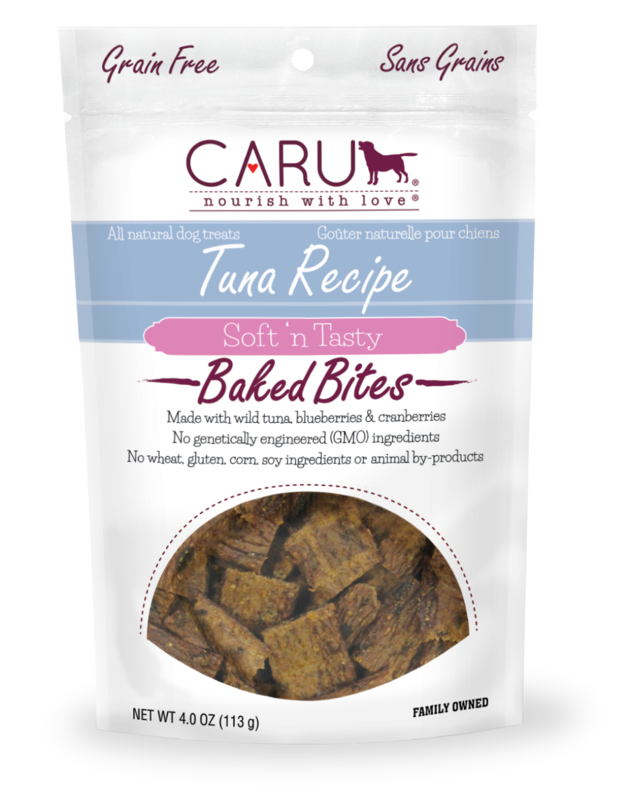 Caru Soft ‘n Tasty Treats can be fed to dogs of any age, size or breed as a healthy snack or reward during training. 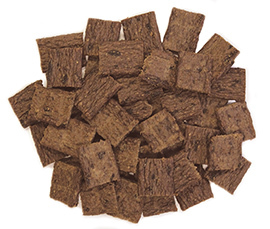 They are not designed to replace your dog’s daily diet, but for supplemental feeding only. Be sure to serve with plenty of fresh water. Store in a cool place away from direct sunlight. Use contents within 45 days after opening. Available in 4.0 oz. (113 g) resealable pouches, 12 pouches per case.